The Starship Voyager and the Full Circle fleet continue their mission of exploration of parts of the Delta Quadrant that once was occupied by the Borg. 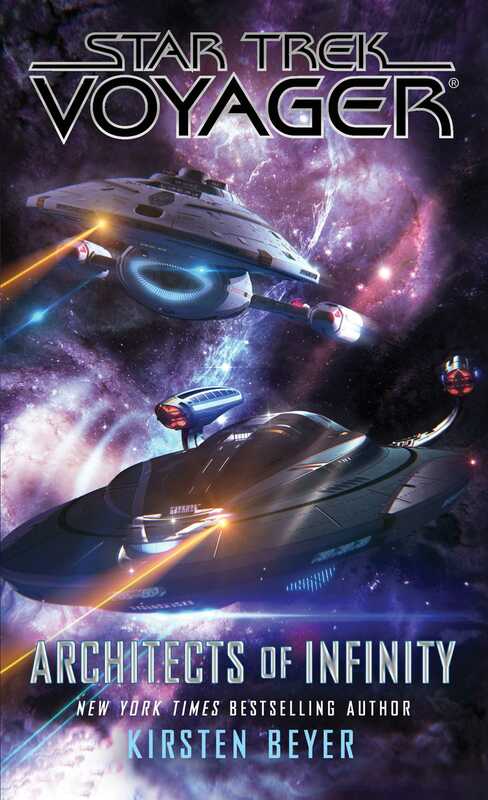 After their most recent encounter with the Krenim Imperium, Admiral Janeway’s concerns are still looming over the fact that they possess the ability to rewrite time to their design. After a survey mission to a planet that is part of a unique binary system, Seven of Nine and Lt. Harry Kim discover a new element. The planet they have investigated is a curiosity in itself since it hosts several biospheres, each containing its own atmosphere but otherwise uninhabitable. At the suggestion of Captain Chakotay, seeing this an opportunity for time for both R&R and some exploration, Admiral Janeway hopes that having the fleet focus on what she deems an old-fashioned mystery will improve the crew’s morale. Yet the secrets the planet hold may just be part of a larger puzzle. I honestly enjoyed reading this book. I have never really been a large Voyager fan, harboring only lukewarm feelings for the characters and the crew. I have really enjoyed where they have taken the series with the books; although they may not be canon, the books are remaining canon to themselves. I am starting to feel a connection to these characters I hadn’t felt during the show’s run. In the books, it seems the authors are approaching each character as the individuals they are. Things like personal relationships and past history, as well as insecurities, have made these characters more easy to relate to than the television series.